Blogplicity members are not only exceptional writers but take the time to visit and comment on each others writing. 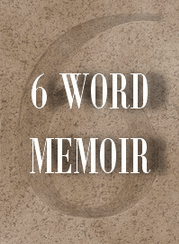 The group, Blogplicity, is a beautiful community and recently, one of the members proposed a group of us take on a writing challenge called six-word memoirs. For the past month individuals have been writing such deep and insightful memoirs. Yesterday, it was Vrndavana Vinodini’s turn who courageously opened her heart and summed it up in Six Words. Unconditional Love and Forgiveness build character. My six words are a reflection of my innermost thoughts and emotions. I am what I think and I believe in giving, without expectations. There are many who don’t agree with me and question my philosophy but then I understand where they are coming from. This chant has ingrained itself in my heart and soul. I pass this on to ……. Quite right, Sulekha. Unconditional love, which is quite difficult to cultivate and return is truly a path towards a great character. P. S. Glad to have stopped after a long long time, Sulekha. Susan, I am so glad you dropped in here 🙂 Thank you for the comment. This is a theme I have read in your work time and time again, Sulekha. And each time I am touched by your giving spirit. It takes a special kind of person to be able to love so freely. You have a wonderful spirit. Sweepyjean, I am humbled by your sweet comment. I wish I could be what you think I am and I keep trying to better myself each day. Irene, You all are such amazing people and your encouraging words lift my spirits, thank you. Absolutely says it all, Sulekha! It is definitely you! Martha, You are an angel. Wonderful chant, so very true,I am not as successful as I would like to be with this, but it does reflect what I read of you. Tumultuousjourney, I am trying too, thank you for visiting and commenting. Isn't that ever so true – the 2 hardest things to do. Nice one. Suzy, welcome to my blog and thanks a ton for your comment. So like you, Outlier! Beautiful soul that you are. Takes one to know one <3 Rimly. Thank you. This is so you…a befitting memoir to end this. Thank you so much Janaki.